Paul Budde, one of the world’s foremost telecommunications management and business consultants who was interviewed on ABC Four Corners ‘What’s wrong with the NBN’ this week, argues that replacing FttN with FttC (fibre to the curb) is the only sensible solution to the ongoing waste of taxpayers’ money even if this requires a delay or another one or two years. 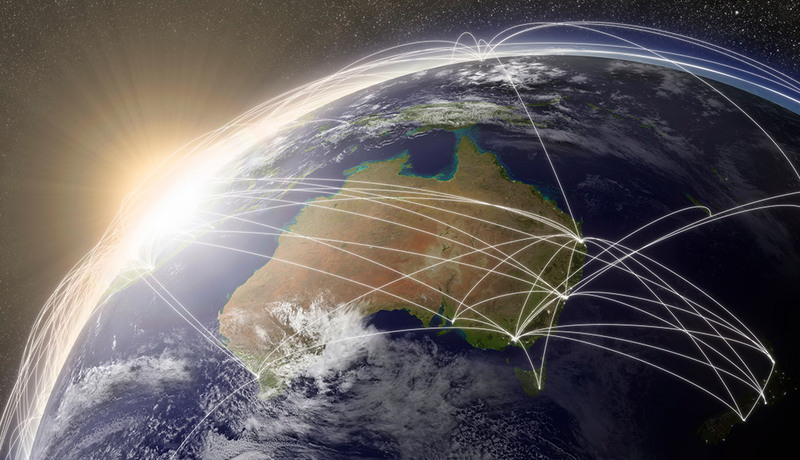 IT HAS taken four years for the government and the nbn company to finally admit what many people have been predicting since the very beginning of the change in NBN plans from FttH (fibre-to-the-home) to FttN (fibre-to-the-node). The prime minister now claims that the train wreck was always in the making. If that is so, why then didn’t he overrule Tony Abbotts’ argument to “kill the NBN”? That would have nipped the train wreck in the bud. Obviously he didn’t see his change in policy as a train wreck in the making; he indicated he could build the NBN for $25 billion and it would be finished by 2016. We all know what happened then. The price tag is now $50 billion, to be finished in 2020/2021, and we are now saddled with a second-rate network. During my (unpaid) strategic involvement in the initial FttH NBN, I made it very clear to the then Minister for Broadband Stephen Conroy, that there were several serious flaws in that plan — such as the unrealistically high ROI of 6-7 per cent; the way the NBN would be rolled out (not taking the most urgent areas into account); and the plan to replace HFC. It is my view that the latter could have been done much later as the next phase of the NBN. There certainly was no urgency for that. And the same applied to ADSL2+ connections. Nevertheless, the main blame should go to the current government, which changed horses in midstream and then put forward a second-rate solution that, among other things, resulted in a ban on competitors being allowed to roll out superior FttH broadband services. Who would have thought such a policy could come from a pro-business liberal government? To prop up the NBN they are even imposing a broadband tax on mobile operators, further damaging telecommunications competition. It is that second-rate solution (FttN) that is causing the main problem. There are no complaints from the one million householders who were lucky enough to be part of the original FttH rollout. Another move in the blame game was to compare the original NBN plan with the successful rollout of FttH in New Zealand. One of the reasons the NBN exists in its present form today is because of the position taken by the then CEO of Telstra, Sol Trujillo, who wanted to maintain Telstra’s monopoly at all cost. He didn’t want to roll out a nationwide high-speed broadband network. He wanted a regulatory holiday to roll out an FttN broadband network to approximately 50% of the population, for which he wanted a regulation-guaranteed subscription charge of $95 per month (later reduced to $85). He sued the government when they wanted to change the Telstra monopoly. If we want to go even further back, it was under Prime Minister Howard’s watch that Telstra was privatised, with no conditions attached to regional broadband or to an upgrade of the network from copper to fibre. Sol Trujillo happily used the monopoly handed to Telstra by that government. The situation in New Zealand at that time – as it was in most of the other leading broadband countries such as the ones in Scandinavia and Eastern Europe, Singapore, Hong Kong, Korea, Japan, etc – was far more co-operative. So these countries didn’t have the trouble that Australia was facing. With hindsight, and with the current Telstra management in place, a better outcome would have been possible, but in the Trujillo period this was simply not an option. To a certain extent, we still suffer from this as the nbn company must pay around $1000 per house to Telstra for the use of their ducting and cabling. Also, if that train wreck was already in the offing in 2013 when the government changed the plan, maybe politicians didn’t see it coming but one would have expected some argument about it from the engineering experts (being the nbn company). But they happily let the train wreck move ahead and continued to talk it up. At the same time, rather than promoting high-speed broadband, the CEO kept on talking it down — now even indicating that 10Mb/s is fine for him. Now it is suddenly a blame game. Yet only a few days ago, the Communications Minister Mitch Fifield was still talking up the current NBN, telling TV audiences that soon “it would be the envy of the world”. Then there is suddenly also this list of premises that cost tens of thousands of dollars each to connect to the NBN. We can very easily make similar calculations for roads, electricity, gas and water connections. What about four homes on a 2-km tarred road or electricity connections to rural communities and farmsteads? So, yes, there have been wrong decisions all along, but my advice to Malcolm Turnbull in 2013 was to keep the original NBN in place, make changes like the ones I mentioned above and perhaps take a longer time to complete, spreading the cost over a longer period. Obviously, you would make adjustments as the rollout continued. The City of San Francisco has just proposed an FttH network that will cost US$2000 per home to roll out; the costs of FttH rollouts is coming by the day down – in New Zealand they nearly halved over the last 5 years – so it doesn’t have to be a train wreck. On the positive side, the current admissions are potentially making it possible to look at solutions. If the government writes off 50 per cent of the rollout costs it could, with one stroke of the pen, make it instantly possible to deliver more affordable true high-speed broadband and solve one the biggest consumer complaints; that they are not getting the speeds that one would expect from a high-speed broadband network. Such a write down would then also provide a better platform for the next step of the NBN being the upgrade from FttN to FttH, whether through new owners (privatisation of the company) or by finishing the current rollout by the nbn company. Also the prime minister has mentioned at several occasions in the past that this would be the preferred end goal). In the meantime, stop the rollout of the FttN and replace it with FttC (fibre to the curb). The more money spent on FttN will only make the NBN less valuable and continue the waste of taxpayers’ money. If the price for this is a delay of another one or two years so be it — better to do it right.